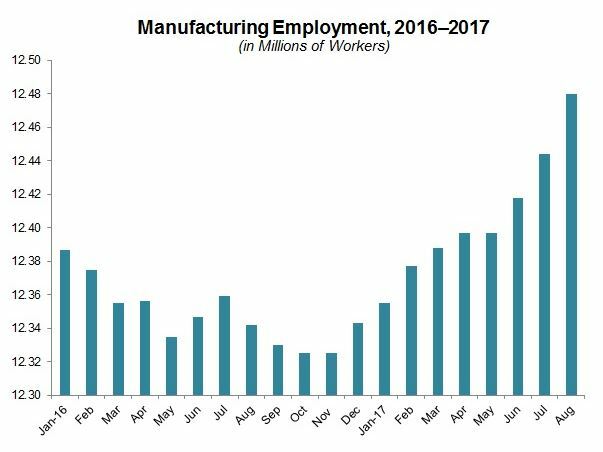 5 Bullish Facts About Manufacturing Employment -and Your Career! Here are 5 facts to convince you that prospects for employment in Manufacturing are strongly bullish and worthy of consideration for your own career or the career of someone that you love. Career prospects are looking UP in Manufacturing! Our PMPA Business Trends Report continues to show strongly positive Employment sentiment- 90% (or more) of shops expecting employment prospects for the next three months to remain the same or increase- since last November. Last month it was 96%. Manufacturing employment is on the increase. Great careers, not “labor jobs.” Interesting work. Our precision machining companies are looking for people to bring their talents. 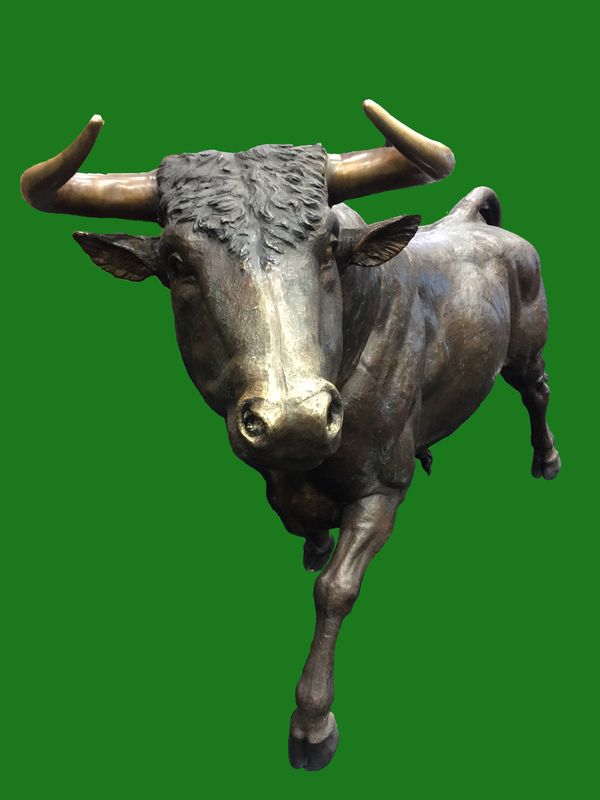 Well, it is a bull for manufacturing employment, and that’s no bull! Now is the perfect time to consider a Game Changing Career in Precision Manufacturing. Chart and Analysis Courtesy Chad Moutray at NAM. This entry was posted on Tuesday, September 5th, 2017 at 1:08 pm and is filed under Uncategorized. You can follow any responses to this entry through the RSS 2.0 feed. You can leave a response, or trackback from your own site.